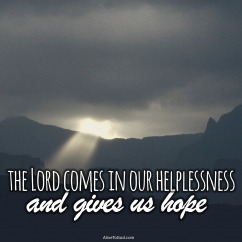 - The Good News is that the Lord comes in our helplessness and gives us hope. - He knows when the time is ‘just right’ and He steps in to turn things around. 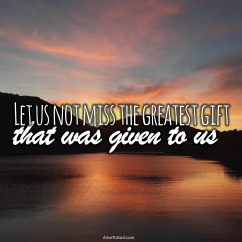 - As we remember His death and what He did for us on the cross, we celebrate hope. - No matter how ‘utterly helpless’ our situation may be, He is our help and answer. Prayer: Lord, thank You for coming into the world to die and to give Your life as a sacrifice for me. I recognised that You are all I need and remember the price that was paid with thankfulness. Amen. But they shouted, ‘Take him away! Take him away! Crucify him!